So, when I am at my laptop I can draft a blog post using my text editor of choice using the markdown markup language and git commit the file to git. 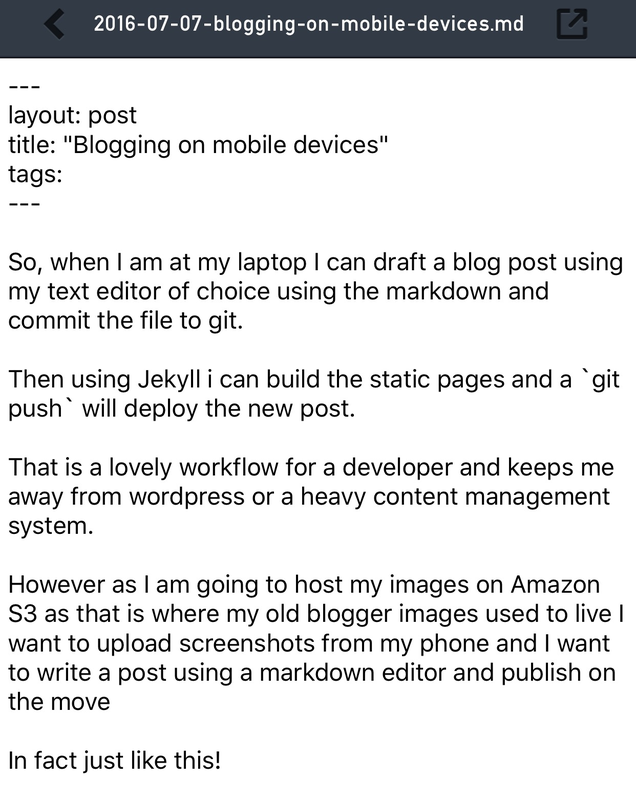 Then using Jekyll i can build the static pages and a git push will deploy the new post. That is a lovely workflow for a developer and keeps me away from wordpress or a heavy content management system. In fact just like this!